Great News For People Behind In Their Mortgage Payments! HomeBlog Personal FinanceGreat News For People Behind In Their Mortgage Payments! Would you like to learn that there is an easy way to get your mortgage payments back on track and to save considerable money in the bargain? Well, it could happen. This is due to a new program named the Streamlined Modification Initiative. What it means is that mortgage lenders must send you a letter offering a modification to your loan if you meet these criteria. The governmental body that oversees Fannie Mae and Freddy Mac is the Federal Housing Finance Agency (FHFA). It won’t say how many homeowners will receive modifications. However, the Mortgage Bankers Association reported last May that about 1.1 million people are behind in their loans by three payments or more. Of course, not all of those mortgage holders have Fannie or Freddie loans. One of the best things about the Streamlined Modification Initiative is that it doesn’t require people to file any financial paperwork, as do programs such as the Home Affordable Modification Program, which began in March 2009. Instead, they will receive offers from mortgage lenders. If they choose to refinance they will make their new payments for a trial period of three months. After this the modification becomes permanent. According to the FHFA the procedures and extensive paperwork that other mortgage foreclosure prevention programs required were a major barrier to getting people the help they needed. Problems with these programs included paperwork getting lost and borrowers being asked to provide documents over and over. In addition, the task of determining a borrower’s eligibility could be very time-consuming. One expert in this area said that the Streamlined Modification Initiative is a no-brainer and should have been done years ago. The way a borrower’s monthly payments will be lowered is that the lender will either extend the term of the loan – usually from 30 years to 40 years – or reduce its interest rate. However, the new program does fall short of reducing the principal on the loan. However, these changes could still mean big savings for people with high-rate loans who have been unable to refinance to the very low interest rates that have been available the past few years. As an example of this, if you had a 30-year, $200,000 loan with a 5.5% interest rate modified to a 40-year term with a 4% interest rate, your monthly payments would go from $1135 to $835 – or a difference of $300. This program is scheduled to last through December 2015. Are you under water? In other words, is your home worth less than what you owe on your mortgage? Or do you have a high-rate adjustable loan? If you’re current on your payments there is another program that could help you take advantage of today’s low interest rates. It’s called the Home Affordable Refinance Program or HARP. It is now available to more homeowners than before because it was revised this year to raise the debt limit at which borrowers can get a new mortgage. Previous to this, you could qualify for HARP only if your loan-to-value (LTV) ratio was from 97% to 125%. However, this limit was eliminated so that if you owe more than 125% of your home’s value, you would now qualify for HARP. In other words if you have a fixed-rate mortgage, there is no ceiling on your loan-to-value ratio. But if you have an adjustable-rate mortgage, the limit is 105%. For a more complete explanation of HARP and in just two minutes, watch the following video. NOTE: Your home’s LTV is what you owe on your loan vs. its value. The way LTV is calculated is by dividing your loan amount by the home’s appraised value. For example, if your home is valued at $185,000 and you owe $100,000 on your mortgage, your loan-to-value ratio would be 54.05%. Your loan must have originated on or before May 31, 2009 and must be owned by Fannie Mae or Freddie Mac. NOTE: If you’re not sure about your mortgage both these organizations have web pages where you can check your address to see if you’re eligible. As noted above, you must have been current on your mortgage for the past six months and have had no more than one late payment in the past 12 months. If you are uncertain about this, you could look on your statements to see if you’ve had any late charges or check with your loan servicer. Your loan-to-value ratio must be greater than 80% and you cannot have refinanced previously under waiving many of their typical closing fees. So if you’re refinancing into a 15- or 30-year HARP mortgage you could save you anywhere from a quarter of a percentage point to two percentage points of the amount of your loan. There are two good reasons for getting a new mortgage under HARP, assuming you would qualify. First, it will lower your monthly payments and probably substantially. As an example of this, suppose you have a 30-year fixed $165,000 mortgage at 7%. Your payment not including taxes and insurance is probably around $1097. If you were to refinance through HARP at 3.5%, your monthly payment would drop to about $740 – again not including taxes and insurance. This would mean a monthly savings of $357. Multiply that by 12 and you would be saving more than $4000 a year. The second reason for doing a HARP loan is the amount of money you could save over the life of your loan. As an example of this if you were to get a new mortgage where your interest rate was just one point less on a 30-year, fixed rate $100,000 mortgage you would save about $22,500. If you are struggling to make your mortgage payments there is another program available called the Home Affordable Modification Program (HAMP). You may qualify for it if you meet these major criteria. You have a two-unit rental property on which you owe up to $934,200, a three-unit rental property where you owe up to $1,129,250 or a four-unit property on which you owe up to $1,403,400. In the past 12 years you have not been convicted of felony larceny, fraud, theft or forgery, tax evasion or money laundering in connection with a real estate transaction or mortgage. In the event you could qualify for a MHA® (Making Home Affordable) mortgage loan under HAMP you would have a lower mortgage payment and a lower interest rate thanks to today’s low mortgage interest rates. An MHA refinance program could help you get into a more affordable mortgage and also into a more stable fixed-rate mortgage. 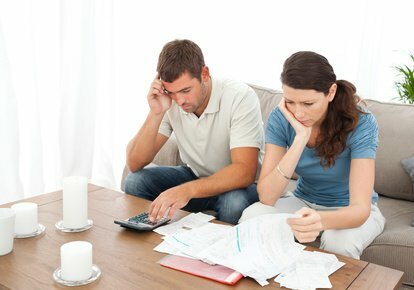 You should be able to get the financial relief you need even if you are unemployed. You would be able to refinance even though your home is worth less than your mortgage. And finally, you may be able to qualify for an MHA loan even if you have a second mortgage such as a home equity loan, a home equity line of credit or a second lien that has made it tough for you to keep up with your mortgage payments. If you no longer want to own your home or if you believe it is simply no longer affordable, you might be able to transition out of it and yet avoid foreclosure. This would be via an MHA program that even provides relocation assistance in the amount of $3000. One of this program’s biggest issues is that it’s run by the banks and mortgage lenders and not the federal government. Many people who should qualify for an MHA loan were never approved. The mortgage companies’ approval process has been cumbersome. Many people who applied for a modification under MHA were told that they had qualified or were pre-qualified for a loan modification or that they had been approved. This led them to believe that their loan was going to be modified. But then it wasn’t. What this initial qualification or pre-qualification meant is that the person’s situation fell within the requirements set by the federal government. But it is the lender that owns the mortgage and decides whether or not to grant the modification. And unfortunately more people have been turned down than approved. The net/net is that if you’re underwater with your mortgage, you should hope that you will receive a letter from a lender saying that you qualify for the Streamlined Modification Initiative. Beyond that, you might try for a new loan under HARP rather than under HAMP.